Baker County Blog: Law, Order, and Perhaps a Little Justice? On the positive side, the word is that the charges against Ron Calder, which were affirmed by the City Council, may soon be dismissed by the Baker County Circuit Court. My information indicates that the sometime City Attorney, Dan Van Thiel, has asked Ron's "Pro Bono" attorney, Robert Whitnah, to "prepare an Order of Dismissal" in the case. Defense attorney Whitnah took on this case for free because of his principles and because he is willing to defend those among us of poor circumstance, or otherwise, who find themselves entangled in a legal system they do not understand. Brian Cole's pretrial hearing was scheduled for January 8th, 2010 at 8:30 AM. I, and a few others, appeared at that time, only to find that the hearing had been postponed the previous afternoon and that no new date had been set. I was also informed that the hearing would be private, in the Judge's chambers in any event, so there was little a person could learn from showing up on the pretrial date. As of today, 1/11/10, no new hearing date had been set. Brian Cole "will not be announcing at this point in time." Sunday School is offered at 9:30 a.m. every Sunday, from age 3 through 103. If you see a need for a new Sunday School class, contact Pastor Jon. When is a Rumor Much More than Just a Rumor? OK. Brian Cole, a 47 year old male, has been charged with furnishing alcohol to a minor (a person under 21 years of age), a 17 year old woman, in an out of the way place out on Pocahontas. Do I know the family of the victim? Yes I do. Do many, many, people here in Baker County and elsewhere know Brian Cole? Yes, they do. How could anyone here in Baker County, who is paying attention, not know who Brian Cole is? So what is happening legally? After I attempted to attend the pretrial hearing, I collected some information about the case from the Oregon Circuit Court. The count of furnishing was filed on November 10, 2009. On about 11/25/09, Judge Baxter recused himself, and Judge Gary L. Reynolds from Hermiston took the case. No reason was given for Judge Baxter's recusal. On December 17, 2009, a motion was made by Sean Riddell, from the Attorney General’s office, to continue the Grand Jury term, because he felt, apparently from investigations of the homes of the parties, that there were "potentially additional charges." The Grand Jury term was extended for six months by Garry L. Reynolds on or about December 24, 2009. When I arrived at the Circuit Court on January 8, 2010, I was informed that the hearing had been postponed because a day or two prior, a good deal of "discovery" information had been produced which would require some time for all parties to digest. This discovery information, I believe, had to do with computer files and correspondence that was gleaned from earlier searches of both Brian Cole's, and the victim's computers and phone files. I was surprised to learn yesterday that Grand Juries are secret bodies. When I went to the District Attorney's office and asked Rebeca Piedra for the names of the people on the Grand Jury, she informed me that the names are not public information. The reason I wanted to know is that, due to Mr. Cole's extensive contacts in Baker City, it seems entirely possible that his friends may end up on the Grand Jury, which could affect the outcome of any investigation. The other side of the story is that some defense attorneys find the Grand Jury rigged in favor of the prosecution and the people they are defending, because Grand Juries have a heavy dependence on evidence provided and influenced by the district attorney or state prosecutor. Given though that the proceedings are secret, unavailable to inquiring minds or anything approaching scientific scrutiny, who knows how the mix of prosecutorial superiority and potential good-old-boy relationships actually plays out. While the names may not be public at this time, there appears to be precedent for releasing them at a later date. There are also several proposed reforms for Grand Juries, including some that would reduce Grand Jury secrecy. 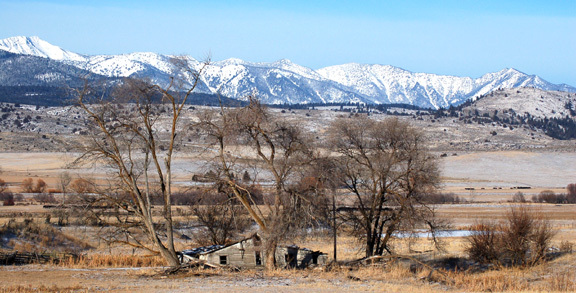 Jeremy Thamert, owner of Oregon Power Solutions in Baker City, and who is listed as President of Historic Baker City, was charged in the later part of 2009 with Animal Abuse in the Second Degree for shooting a neighbor's cat with a Beeman pellet rifle. 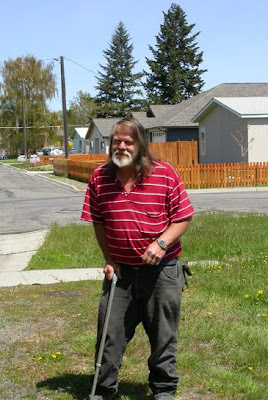 On December 7, 2009, his case was dismissed by Circuit Judge Gregory L. Baxter because he and the owner of the injured cat, Tena McKim, who is also the secretary for Historic Baker City, had signed an "Acknowledgement of Satisfaction," indicating that Mr. Thamert had satisfied any claim of "injury and damage" from the "alleged act." Thamert also turned over the bail money of $2,500 to his attorney.